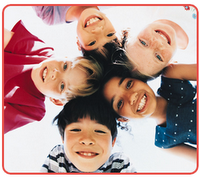 Pediatric Dentistry: What Is Your Favorite Toothpaste? What is your favorite toothpaste? Which toothpaste is the best? Most all toothpastes have the same amount of fluoride. The ones that do not are those few marketed as natural, or the ones made for babies and toddlers that are sometimes called something like "tooth and gum cleanser." You will find that fluoridated toothpastes are recommended for adults and children two years and older. Even then I recommend only a very small bit of toothpaste on the brush so if a child swallows it (which they will do) then its just a little bit and will cause no real problem. Other than fluoride though, it's all about the other stuff, the whitener, Triclosan, the tarter control, the appearance and of course the taste. Really none of the effects of toothpaste are more important than the fluoride. The ADA seal is to attest to the fluoride content. That's the stuff that helps prevent cavities. So, which toothpaste is the best? For the children I see in our practice, the one I recommend to them is the one they like the best; the one they are motivated to use. It's all about the marketing, sparkles, smell and taste. Some kids, usually very young ones, don't like any kind of toothpaste. 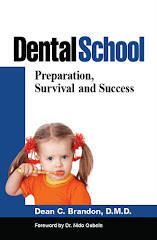 Hey, you can still clean the teeth with the brush and floss, but the advantage of the fluoride is not there. Most toothpastes marketed to children have the same fluoride content (1000 ppm) as adult toothpastes, but often have bubblegum or other flavors that appeal to children--and sparkles! Adults like the minty flavors more. So, which one do you like the best? What is your favorite toothpaste? I like Colgate Total enamel strength stripe and the Crest Pro-Health For Me Minty Breeze. It's not that these are any better than others, it's just the awesome taste, sort of a mild mint that I prefer. It often comes down to what you like. If you do find something you like, it's ok to try something different from time to time just to keep it interesting. I like Crest 3D Whitening toothpaste and mouthwash. Mostly because I drink so much coffee and tea that I kind of need something to help keep them as white as possible. When I was a kid, I was all about the sparkles though. Crest Pro-Health Night is my favorite toothpaste. The flavor is great and gives fresh breath longer than other toothpastes I've tried while fighting against diseases. 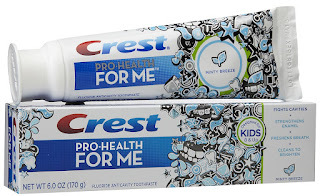 My favorite toothpaste is Crest Pro-Health. It has an awesome flavor and give fresh breath for a longer time. I really love their product especially the Crest Whitening Strips they really work like a charm! If you are going to buy some toothpaste i really recommend that pick crest over the rest. I am comfused isn't a cavity suppose to drive you crazy because it is sensitive to hot and cold. Well Dr. Lackey want's to see me in Dec. because he say's I have a flossing cavity but the thing is is that it does not drive me crazy it doesn't even bother me. Why doesn't it bother me? Do you not notice the feeling of a flossing cavity as if you would if it was on the front or back of your tooth. Dr. Brandon do I really have to come back in Dec. Can I not wait? I know Dr. Lackey say's you all have been watching that tooth. I guess to me it just seems like a waist of time, I don't want to waist anybodies time at all. Megan, most cavities in the early stages do not bother at all. I'll let Dr. Lackey know of your concerns. rachel, i too like crest 3d whitening toothpaste. i often use this stuff. because, it keep my teeth as white.